There was no difference in outcomes in terms of pain, physical functioning, and satisfaction in patients with low back pain. 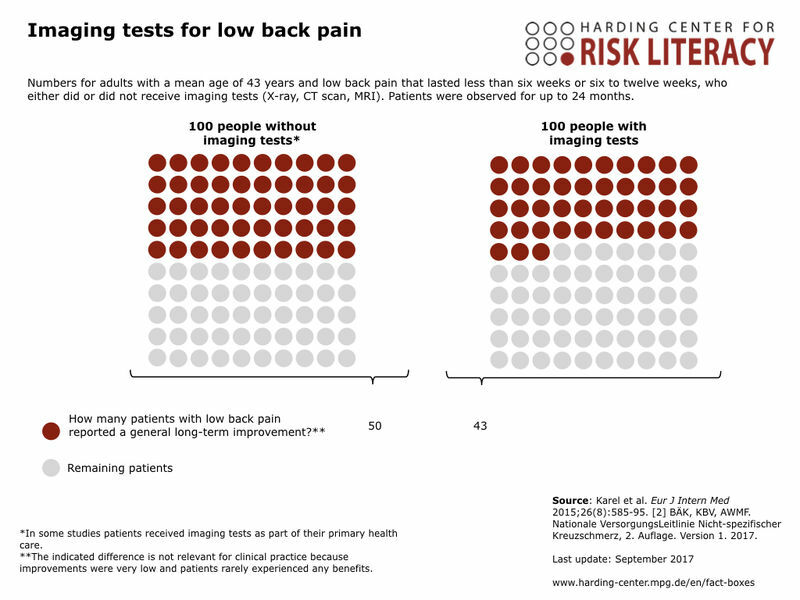 50 out of every 100 patients without imaging reported long-term overall improvement. 43 out of every 100 patients with imaging reported the same effect.